The Xposed Framework is a leading mechanism to modify and tweak Android. It offers a huge selection of customizations and users have been lured to it for its unique features that are otherwise disabled on their phone. Xposed Framework employs modules and small apps that get directly plugged into your OS and hands you absolute control over the features of your phone. Users love to do customizations to every nuance of their phones and enjoy the bespoke touch. Check out: Xposed Framework Hub – Download and install on any Android device! 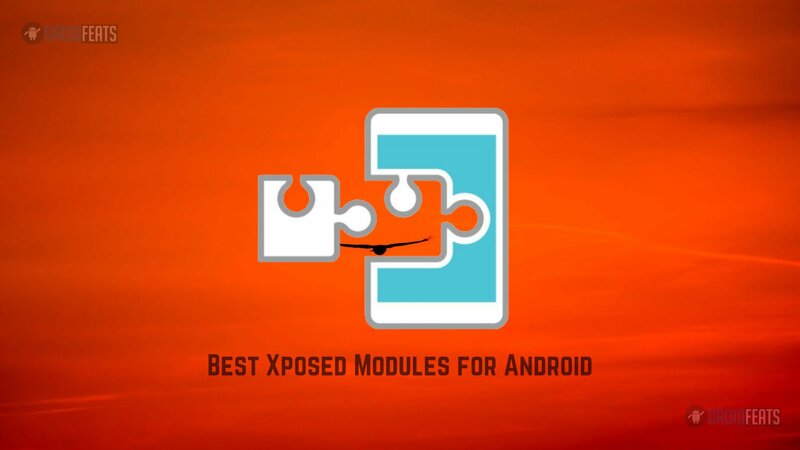 Xposed Module is an easy system which can be turned off simply by uninstalling the Xposed modules and restores your phone to previous arrangement. Explore the best Xposed Modules to add a hint of finesse on your Android. GravityBox offers comprehensive features to groom your Android user interface. It comes with some amazing tweaks to enable a grand make-over of your phone. It is a great assemblage of Android tweaks including media tweaks, lock-screen tweaks, display tweaks, status tweaks, power tweaks, bar tweaks, navigation tweaks, among others. You can start afresh with your Android experience by changing your LED notifications, battery indication style, display real-time traffic and more. These are only a few of its enhancements galore. Every time your friend sends you a link to an amazing video; it first drives you to the browser and then you get access to the video. Doesn’t it get into your nerves? Well not anymore! CrappaLinks are enabled and configured to open those links in the app itself. So, once you have CrappaLinks in your phone, you can say goodbye to that crappy and time-consuming process to see one small video. Snapchat disables a lot of features for the users for it would contravene the terms of usage. But with Snapprefs, you can enjoy other functionalities of Snapchat. You can auto-save Snapchat pictures and videos on Android with the Snappprefs Xposed module. Snapprefs is another amazing exposed module that allows you to save Snapchat pictures and videos automatically in your smartphone. It includes a wide array of features such as painting tools, location spoofs, weather, speed, etc. This is an easy-to-use Xposed module to spruce up your Android experience. You can make modifications to a number of things such as battery indicator icon, clock, among others. Also, you can choose to the mod lock screen, scrolling, and animations. You can blacklist Apps from using ListView Animation; disable volume in lock-screen; add seconds in the clock in Status-Bar; have customizable color for Battery Percentage etc. There is a whole host of apps that ask you to give access to other information in order to run their functionalities fully. But if you don’t want to do that, is there a choice? Yes. Of course. With XPrivacy you can get rid of these unwanted elements barging into your phone’s data. You can use this Xposed module to block certain apps from accessing certain information by simply tapping the apps that you want to restrict from prying upon your data. For instance, you can open the locations category and tick the apps to disable them from finding your location. So, with XPrivacy you have cordoned off your clipboard, contacts, email, sensors, phone, internet, media, messages, and others. People will shout out in unison that ads on apps are a big annoying factor that appears irrespective of your interest. Every time you want to watch the trailer of a new movie or want to play on some gaming app, the irritating ads crop up, and you have no choice but to cool your heels. With YouTube AdAway, you can remove the advertisements, video recommendations, information card teasers from streaming on the YouTube App, YouTube TV, children’s and gaming Apps. Amplify is an Xposed Module that amplifies the battery saving in your Android phone. Once you install and open it, the app ipso facto makes some tweaks in your phone and provides battery savings. It does that by turning off those components which will not be open all the time. You can monitor which services are eating your phone’s battery as they blink with a red or orange color and also be marked with a high number as compared to others which blink in green color. Fed up of your draining phone battery and abysmal functioning due to numerous Apps installed? For those of you who are tired of hangs, Boot Manager is the solution. It can be used if you want to block some Apps from installing automatically on starting your phone. So, if you see too many Apps launching automatically on your phone every time it starts, Boot Manager can stop and improve your start time and battery usage. You just have to select those Apps that you don’t want to be started on your phone. It is an amazing Xposed module for those of you who want to use multiple apps at the same time. So, if you want to watch a video while you are working on some other app, a small popup window will appear and lets you use the other app also. Awesome Pop-up Video has a gallery of its own videos and can also work on other players such as YouTube. It is very easy to use. You have to open the video and press on the Share button and choose Awesome Pop-Up Video. We know that photos on Instagram cannot be zoomed, so this is where Zoom for Instagram lets you undo the disability. Once you install it, you will find a zoom button appearing next to the photos and videos. You can open these media files in full screen. There is another feature which comes with a limitation of seven days and expires after that. This feature enables you to zoom the photos directly from the image, and you don’t need to open it on the full screen. As the name suggests, Fake My GPS lets you put on a fake location along with a number of features which are unavailable with XPrivacy. This Xposed module is another way to protect your privacy and reduce vulnerability on the internet. With Fake My GPS you can not only send a fake location to the apps you choose but it also lets you apply fake location settings to each and every app you select. You just have to enter a fake location on it and then exit it. So, when any App asks your location, it will get the fake information from Fake My GPS. To the oblivion of many, our phone-lock is of no use under certain conditions because of the limited Smart Lock features of Android Phone. So, when you are close to a paired Bluetooth device or you are connected to a Wi-Fi network, your phone remains locked. No Lock Home lets you set up a number of locations where your phone will not be locked. Deep Sleep Battery Saver does exactly what its name suggests. Unlike the ordinary battery saver apps, Deep Sleep allows you to make some finer settings to save battery consumption of Android. It will put apps into a deep sleep and wakes them up only for viewing the notifications and again puts them to sleep. The Xposed module lets you choose different modes of slumbering apps such as Aggressive, Gentle, and Slumberer. If you choose an aggressive option, the apps are put into a deep sleep on locking the phone and they will wake up every two hours but for a minute to go back to sleep. This is for those you want to save pictures in their Phone. This Instagram Xposed module functions akin to Zoom for Instagram. In Zoom for Instagram, you can zoom the images or videos to view in a full screen. But if you don’t want zoom option and only want to save the videos or images, then Instagram Downloader lets you do that. If your phone is rooted, then when you install Greenify, you will get both the regular as well as the feature of automatic hibernation of apps. This ability to automatically hibernate the apps lets you save battery. You will select the apps which will be put in suspended mode after your phone is locked. If you want to see the notifications of the suspended app, you can do so by enabling this option. When needed, Greenify also permits calling and texting even if they are on hibernation. This is an easy-to-use Xposed Module that will help you modify different features of your Android phone. You can tweak a number of things in Volume Button, Status Bar, Gradient Settings, Navigation Bar, Driving Mode, Multi-Tasking, Carrier Label etc. If you want to customize the keyboard settings, you have multiple options to change. For instance, you can customize the color of the text, keys, and even background. NeverSleep, as one would conjecture disallows certain apps to sleep. What’s the need? Whenever you switch your phone to sleep mode, you basically want to save on the battery. But what if your friend has sent you a GIF and suddenly the screen turns off? The obvious happens. With NeverSleep your phone will never turn off if your selected apps are running. Many times we get notifications which don’t want to read immediately and want on put on hold and there are times when you accidentally read it instead of replying later. What’s the solution for such cases? PinNotif is an Xposed Module that lets you undo reading a notification. You just have to tap on the notification and hold it and it remains there. Unpinning the notification is done similarly. Majority of us rely on WhatsApp for sundry needs and what if you get to know that you can do much more on your favorite texting app? These stocks of WhatsApp Extensions offer so much more than what WhatsApp allows you to do. Hiding read receipts, hiding the last scene, hide the camera button, custom wallpapers for every contact, highlighted chats, chat reminders are only a few of its many features. If you want to hide the fact that your phone is rooted, then you can do that with Root Cloak. Certain apps do not function properly or get updated because your phone is not rooted. But if your phone is actually rooted and you want to hide that information from other apps, then Root Cloak lets you do that. You simply have to choose the apps from which you want to hide your root status and you are done. Instagram users who want to save videos or images can do it easily now. Xinsta lets you download the content, be it an image or video for saving it locally. Once you install XInsta and activate the Xposed module, you will soon see a download option under the three-dot button on the images. You can also use XInsta to download the stories and to see if someone follows you or not. As the name suggests, Advanced Power Menu+ allows you to customize the power menu of Android phone. You will come across a number of new features to improve your phone’s experience and changes in accessing the menu. You will get many features such as reboot option, add-in/removing items, modifying visibility, enable/disable the confirmation prompts, taking a screenshot, record the screen, toggle mobile data, quick dial etc. This is something in the line of the “pie control” concept which is found in a number of custom ROMs. It easily facilitates the addition of pie controls to the Chrome Browser. ChromePie Xposed module dispenses access to all the commonly used Chrome buttons such as close tab, incognito tab, history, bookmarks, new tab, back, forward, full screen and a horde of others. You just have to hold the thumb on an area of your screen and pie controls pop up in the shape of semi-circle group of icons. The Android phone provides you with varied settings options, but still, a big number of options are hidden. Settings Editor is the module that brings to you vibrant setting features. You can change their look, enlarge them, or change their colors, etc. You can also streamline the settings to easily find the ones of routine use. Also, you can strike off all the categories from the Settings screen. Navigation Bar is found on the bottom of the screen containing home, back, and recent options This Xposed module lets you fine-tune your phone’s navigation bar. It does it in a number of ways. With XposedNavigation Bar you can make a shortcut to it. You can make use of the notifications pane, get music controls, install an app, and do much more. The small keyboards of Android phone often cheese us off. Many times, we keep pressing a particular letter but then keyboard types the letter next to it. This happens because there is no space or big buttons to press. For such cases, Exi For Swiftkey serves as third-party keyboard enables fat typing. It provides a number of robust features such as swiping left or right to move cursors, shortcuts where you can type a long word or phrase just by entering a few letters. You can also use Ctrl + C and Ctrl + V to copy and paste just like the traditional keyboard. Xposed Edge has simplified navigating a large-screened phone. It has a pie controller on the lines of ChromePie. It enables you to give new functions to the physical buttons on the phone. You can add gestures to do some tasks on your phone. E.g. you can create a back gesture at the bottom of the screen to return to a previous screen. Want to get rid of in-app advertisements? MinMinGuard does exactly that on your Android phone. The main task of this app is to delete the space of the ad in the app. You can use automatic ad blocking for specific or all the apps. However, this ad-blocker module will avert only in-app ads and not ones displayed on website. If the regular ad-blocking function doesn’t work effectively, then you can use URL filtering for the apps. Flat Style Coloured Bars is a shiny bar of Xposed module that transforms your status bar colors according to the color of the apps and offers multiple layouts. It has great consistency and draws your attention with its colorful icons. The basic status is changed into high readability and colorful background. Flat Style Colored Bars works is effective for all apps, including those which don’t have the support of translucent bars. Want to beef up the security of your phone’s data? Then you can use this simple app locker to ward off unauthorized users. MaxLock is an app-locking Xposed Module and is available without any ads. MaxLock provides a number of features such as multiple locking functions via Password, PIN, knock code and Pattern, fake cash, disable recent thumbnails, etc. It also lets you lock each and every app separately. With these best 30 Xposed Modules you can control the settings of each and every segment of your Android phone. Offering a bevy of amazing features, these modules can tweak your phone to a new level and lend you an incredible experience. You just have to make sure that your phone is rooted to effectuate the working of the modules. Once you install them on your phone, you are welcomed to some lively features that will enhance the user interface.